Cast of Joseph and the Amazing Technicolor Dreamcoat in performance. Mt. Helix Academy students develop skills in and appreciation for both vocal and instrumental music in our excellent Music & Performing Arts program. Our student performers develop poise and self-confidence as they demonstrate their skills in exceptional music performances each school year. In our recent performance of Annie Get Your Gun, Annie Oakley, played by Bailey LaFlam, lets Frank Butler, played by Matthew Ross, know in no uncertain terms that she can do anything he can do better. Through twice-weekly music classes, students are taught basic singing skills, as well as the fundamentals of music theory, leading them to proficiency in note and musical symbol identification, and musical terminology. Elementary students are taught to play the recorder and percussive instruments, which serve as tools for learning basic ensemble skills while having fun with sound in the process. 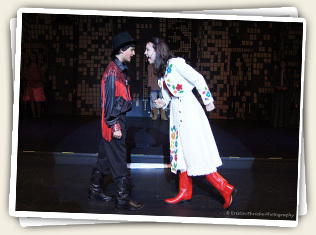 Our Wizard of Oz production played to rave reviews. 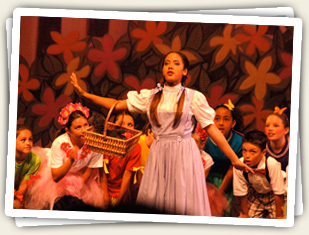 Dorothy, played by Jaelyn Henry-Reyes, led our cast of talented actors, including all of the Munchkins. Mt. 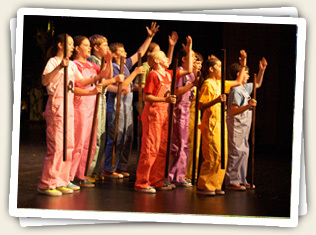 Helix Academy is also recognized for its excellent musical theater program. Our productions of Seussical, The Wizard of Oz, Disney’s The Little Mermaid received rave reviews from the many people who attended performances at the Salvation Army Ray and Joan Kroc Performing Arts Center each of the past three. Over 65 Mt. Helix Academy students participated in each of these plays.